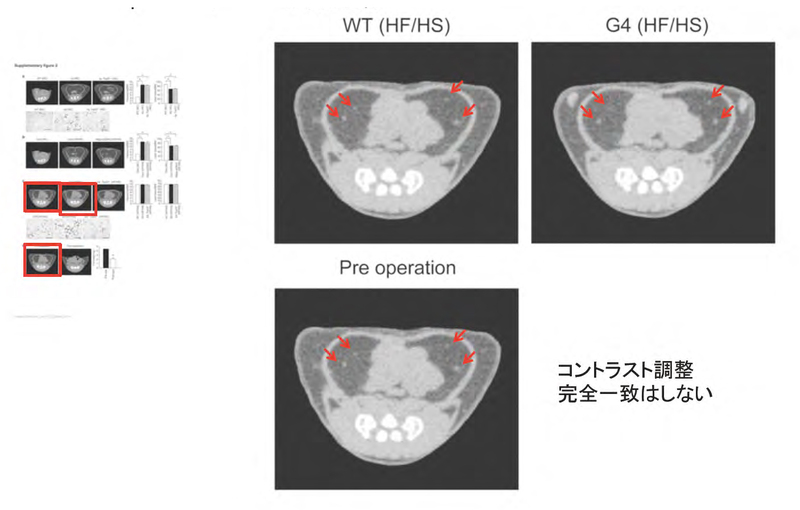 小室一成グループ　論文疑惑: A crucial role for adipose tissue p53 in the regulation of insulin resistance. Nat Med. 2009 Sep;15(9):1082-7. doi: 10.1038/nm.2014. Epub 2009 Aug 30. Tohru Minamino 1,2,7, Masayuki Orimo 1,7, Ippei Shimizu 1,7, Takeshige Kunieda 1, Masataka Yokoyama 1, Takashi Ito 1, Aika Nojima 1, Akira Nabetani 3, Yuichi Oike 2,4, Hisahiro Matsubara 5, Fuyuki Ishikawa 3 & Issei Komuro 1,6 Medicine, Chiba University Graduate School of Medicine, Chuo-ku, Chiba, Japan. Department of Cardiovascular Science and Medicine, Chiba University Graduate School of Medicine, Chuo-ku, Chiba, Japan. Department of Gene Mechanisms, Graduate School of Biostudies, Kyoto University, Yoshida-Konoe-cho, Kyoto, Japan. Department of Molecular Genetics, Faculty of Medical and Pharmaceutical Sciences, Kumamoto University, Kumamoto, Japan. Department of Frontier Surgery, Chiba University Graduate School of Medicine, Chuo-ku, Chiba, Japan. Department of Cardiovascular Medicine, Osaka University Graduate School of Medicine, Suita, Osaka, Japan. Aid for Scientific Research from the Ministry of Education, Culture, Sports, Science and Technology of Japan; and grants from the Suzuken Memorial Foundation, the Japan Diabetes Foundation, the Ichiro Kanehara Foundation, the Tokyo Biochemical Research Foundation, the Takeda Science Foundation, the Cell Science Research Foundation and the Japan Foundation of Applied Enzymology (to T.M.). Supplemental Fig. 2cの一番右、Lean tissue/BWの棒グラフのG4 (HS/HS)とG4 Trp53+/- (HS/HS)は、meanとSEMが完全に一致。遺伝型が違うのにn=5でmeanとSEMが完全一致するのは極めて稀?CT scanのこれだけ似た画像を元に作ればあり得る?